Emmerdale star Emily Head has warned viewers of the ITV soap to prepare themselves for “pretty brutal” scenes as her character Rebecca White’s imprisonment at the hands of serial killer nephew Lachlan reaches a dramatic climax. Rebecca has been held captive in chains by Lachlan (Thomas Atkinson) in a remote chalet in the woods and is low on water and food. Lachlan, who has already killed half of his family and his best friend, has passed off Rebecca’s disappearance from the village by first claiming she is helping a friend run a bar in Ibiza and then staging a message from her saying she has gone to Wales to be alone for a while. Head, 29, revealed that fans of the programme can expect to see her character experience some rough treatment at the hands of her captor. 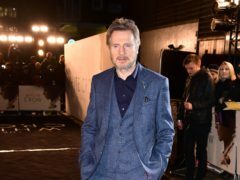 The actress described the forthcoming scenes as “pretty full on – he never hits her but he is certainly a bit rough at times and very menacing”. “But she is genuinely terrified of what he may do to her. Survival instinct kicks in and to be subdued is a better option. “They have a massive argument and he’s not very happy with her after that; she screams at him about all the awful things he’s done. Head previously appeared in Channel 4’s Bafta-winning sitcom The Inbetweeners, playing Carli D’Amato, the object of character Simon Cooper’s desires. She joined the cast of Emmerdale in 2016. Head revealed that she was excited when she found out about her character’s grisly storyline from the show’s writers and admitted she would like to see Rebecca have a role in Lachlan’s downfall. She said: “I hadn’t thought of that but, yes, definitely. She needs some kind of payback, though nothing can pay you back for losing half of your family at the hands of a quarter of your family. Emmerdale continues with an hour-long episode on ITV at 7pm on Tuesday.